Drawn to the majestic, geometric angles of the Dolomites, landscape photographer Isabella Tabacchi captured ethereal moonlit nights, foggy mornings, and golden hour scenes using the X1D-50c with the XCD 30 and XCD 45 lenses. Traversing the rocky peaks and deep valleys of the Italian mountain range, she tested medium format for her first time, successfully making use of the X1D’s long exposure option, high ISO with minimal noise, and detail capture capabilities. “I love to collect emotions in the landscapes that I experience during my photographic adventures,” says Isabella. Conducting extremely detailed research before setting off on her treks, Isabella searches for mountains, lakes, and rock formations that exude a sense of grandeur, representing the spiritual greatness of nature. Perhaps even more importantly, she studies the light cycles and weather of each location. This brought her to the Dolomites – more specifically, the Earth Pyramids, Plätzwiesein Pustertal, Passo Gardena, Passo Sella in Val Gardena, Val Fiscalina and Seiser Alm – the spots where she first started her photographic career. Describing her creative workflow as starting from the shooting phase all the way to the end of post-processing the image, it’s in the final stage where she shapes the raw file to transcribe what it is that she feels and sees in the landscapes. This landscape is a pasture in South Tyrol, called Plätzwiese. I went there for sunrise on a gloomy November morning. The sunrise was not colored by the golden hour, but I loved the atmosphere created by the low clouds and the fog around the mountain, Croda Rossa. I named this one 'Smile in the Morning' for the curved trail in the foreground, which really contrasts the gloomy atmosphere of that cloudy morning. This image represents the Earth Pyramids of Platten in Pustertal, near Percha in South Tyrol. I visited the Earth Pyramids during a November morning. The weather was perfect for that kind of landscape – foggy but with the shy light of the autumnal sun illuminating the ‘little giants’. The fog came up and down from the valley in the span of a few minutes, so I have lots of shots without the fog, but I keep the misty images because I love that kind of atmosphere. I find it very fascinating for such an interesting phenomenon like the Earth Pyramids. The three-dimensionality of the X1D files is incredible. Caught off guard by the amount of details in the raw image captures by the X1D, Isabella was even more impressed by the three-dimensionality of her mountainous subjects. With this combination, she was able to have total freedom in the post production phase, bringing her creative vision to another level. “The results of the X1D are files with extreme richness in terms of quality, which is a huge visual pleasure when printed!” exclaims Isabella. While studying in Bologna to become a pharmacist, Isabella Tabacchi began attending basic photography courses and fulfilling her true calling. Growing up in the Italian countryside, she always enjoyed spending time in nature, so it only seemed natural that her photographic talents became oriented towards landscapes. “Such places are able to generate strong emotions in my soul. My natural habitat is the mountains; there, I have the feeling of being free from everyday life and can truly daydream,” says Isabella. The X1D-50c is a state-of-the-art mirrorless digital medium format camera with amazing features packed into a portable format. The dedicated XCD Lens lineup includes nine different focal lengths, including the XCD 3,5/30 and XCD 3,5/45. Combined, they allow for even more creative possibilities. Learn more here. A master whisky blender working at the base of Mt. 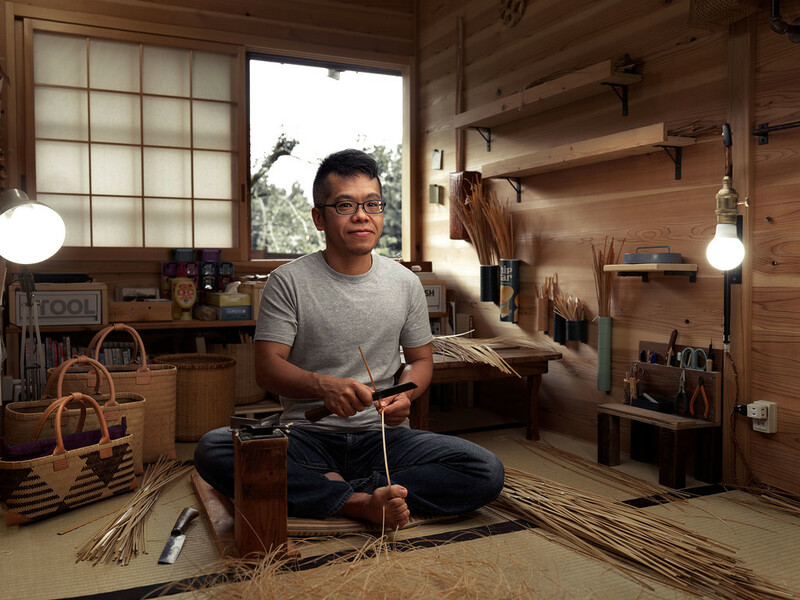 Fuji and a bamboo basket weaver living in a mountain forest are a just some of the highly talented artisans that French photographer Roman Jehanno met on his journey through Japan.